Davy Jones has competed in three Brickyard Invitational “Indy Legends” Charity Pro-Am at the Indianapolis Motor Speedway. He also leads the customer experience performance academy for SVRA series sponsor Jaguar during race weekends. Chicago-born Davy, first gained notice when he placed third in the 1983 British Formula 3 championship behind Ayrton Senna. Bernie Eccelstone tested him for a Brabham Formula 1 seat the same year. Jones later competed in the New Zealand Formula Atlantic series, winning that country’s grand prix in 1984 and ’87. In 1986 he scored BMW McLaren’s only IMSA GTP victory at Watkins Glen. A top-tier sports car driver, he brought home the overall win in both the 1996 24 Hours of Le Mans and the 1990 24 Hours of Daytona. In an Indy car career spanning nine seasons, including six Indianapolis 500s, his best finish came at the Greatest Spectacle in Racing in 1996 when he was second. 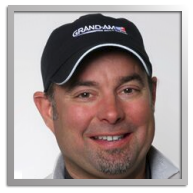 Geoff Brabham has raced in three Brickyard Invitational “Indy Legends” Charity Pro-Am races since 2015. Brabham also raced and won Group 2 races in Ron Hornig’s 1971 Brabham BT35 Formula B racer at the 2016 Brickyard Invitational and the national championship meet at COTA, also in 2016. He has also presented the Brabham Trophy to the owner of the best example of a Brabham racecar at the Indianapolis Motor Speedway/SVRA events. He won the 1993 24 Hours of Le Mans and is also a 10-time starter in the Indianapolis 500, with a best finish of fourth in 1983. He was active in the Indy car series during the 1980’s, recording eight podium finishes and 31 top tens. Brabham was the star driver of the dominant Nissan team that won four successive IMSA GTP championships from 1988 through 1991. During this time he scored an amazing 23 overall victories including the 12 Hours of Sebring. Early in his career he won the 1981 Can-Am series championship. 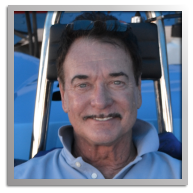 Geoff’s outstanding success earned him six invitations to compete in the elite IROC series. Mark Dismore has raced in every Brickyard Invitational “Indy Legends” Charity Pro-Am at the Indianapolis Motor Speedway – scoring B Production podium finishes in 2016 and 2017. Dismore, a veteran of seven Indianapolis 500s, came back from a devastating accident at IMS in 1991 to nearly win the race ten years later before gearbox failure dashed his chances. He captured the attention of the American open wheel community in 1990 when he dominated the Toyota Atlantic (Pacific Division) championship, winning eight of ten races on the schedule. Just two years after his devastating injuries at Indianapolis he won overall at the 1993 24 Hours of Daytona driving Dan Gurney’s All American Racers Toyota prototype with Rocky Moran and P.J. Jones. 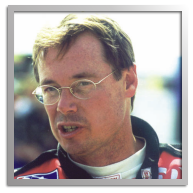 He returned to Indy car racing and won the 1999 Texas Motor Speedway 500. 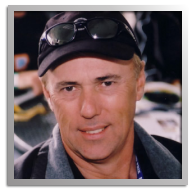 Throughout his career he competed in 64 Indy car races and earned invitations to the elite IROC series in 2000 and 2001. Ryan Lewis raced in the 2014 & 2015 Brickyard Invitational and SVRA national championships at COTA with Group 2 Formula Fords. A road racing standout, Ryan has competed and won in the ALMS and also the 24 Hours of Daytona. He was born in England and began racing cars at 14 in the T-Cars sedan series after time in kart racing. He moved to open wheel Formula Palmer in 2003 and won the championship. Ryan advanced to British Formula 3 in 2004, dominating the national class. He moved to America in 2006 and entered Formula Atlantic where he was a regular on podiums through 2007. Ryan entered ALMS in 2008. 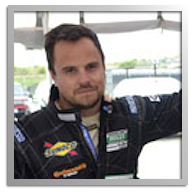 Ryan continued to compete in ALMS through 2012 and was a class winner in the 2011 Petit Le Mans 10 hour endurance race at Road Atlanta. He has also been a professional driving instructor and worked with customers for Bentley and Jaguar. Doc Bundy, who won the 1982 GTO class at Le Mans for Al Holbert Racing (Porsche) is a rare breed among vintage racers as a contract driver for owner Paul Rego of Regogo Racing. Doc has won several SVRA national championships including one in Group 9 with an iconic ex-Marion Andretti Lotus 79 in 2013. Bundy was also champion of the IMSA Bridgestone SuperCar series for Lotus in 1992 and earlier snared a D Production SCCA national championship. During his career he has driven for several manufacturers including Chevrolet, Ford and Jaguar but it was his experience with Lotus that attracted the attention of his current employer, Paul Rego, who formed Regogo Racing for vintage competition in 2011.